Here is the sun with rays from the upper left corner. 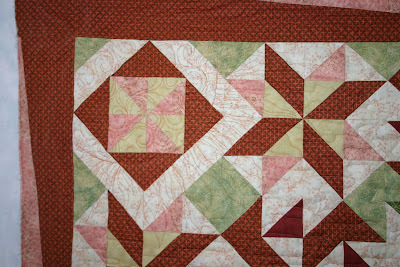 I didn't get any photos that really show all of the quilting. Since this was for a magazine the quilt needed to shine without the quilting overshadowing it so I matched the threads to keep it subtle. 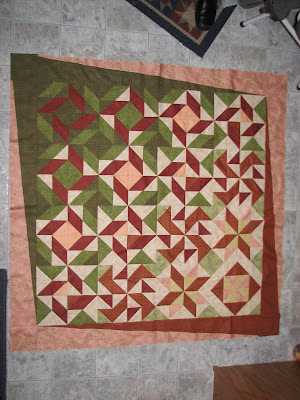 The quilt was designed by my friend and it's called 'Indian Summer', this was taken prior to quilting.